Company & Simply Abu Dhabi. The Publication is also hand delivered to all the Private Offices and Palaces of every member of the Al Nahyan family, who are the Royal and Ruling family of both Abu Dhabi and the UAE. 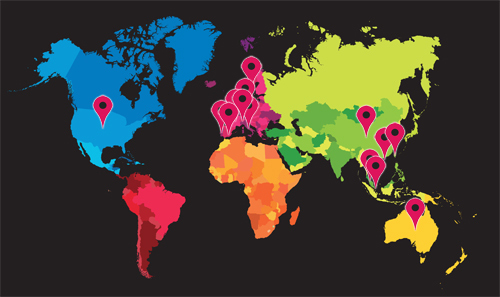 Simply Abu Dhabi’s global distribution reaches Ultra High Net Worth Individuals in London, Paris, Milan, Monaco, Moscow, New York, Los Angeles, Singapore, Shanghai, Hong Kong, Mumbai & Delhi. More than 90% of readers are under the age of 45 and all looking to enjoy the trappings of success. Simply Abu Dhabi is now the World’s largest ‘privately owned’ Multi-Media Channel for Abu Dhabi which in addition commands a huge Dubai and Middle Eastern demographic. Directly networked with 7,800 of the World’s Wealthiest Individuals through Print Medium and has a digital patronage in excess of 740,000+ Ultra High Net Worth & Aspirational followers, via its social media channels. Substantiated by a qualitative and well-placed print medium, the publisher prides themselves on authentic ultra high net worth, high net worth and aspirational engagement, so your company and brand will receive the best possible exposure and furthermore ascertain real value for any partnership that you forge with Simply Abu Dhabi and Amazing Abu Dhabi. While many publishers and news channels rushed to move exclusively across to digital, Simply Abu Dhabi identified the long-term importance of specialist print and continue to invest in both sectors. The publication provides an inimitable sensory experience to our readers, which has allowed Simply Abu Dhabi to evolve into a sought-after collectable within its own right. 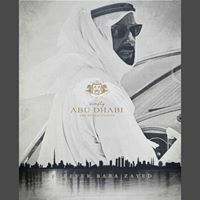 Their ethos remains by Invitation Only and the coffee table publication is produced four times per annum which plays a pivotal role in the promotion of Abu Dhabi, Dubai, and the UAE. According to the pubilsher the Digital landscape has experienced organic exponential growth over the last 5-6 years and focuses on the delivery of Social Media Content. The Facebook account boasts an audience of 500,000+ fans, complimented by three Instagram accounts; @simplyabuhdabi (120k+), @amazingabudhabi (54+k) and @simplydubai (70+k) allowing to communicate to over 740,000+ unique individuals on a daily basis. The publication estimates the combined net worth value of its audience in 2017 to be easily in excess of 4 Trillion US ($) Dollars.